After the absolutely massive success of first single Desert Night – not to mention the slew of remixes including the brilliant Avon Stringer remix, the excellent De$ignated remix, and the silky smooth Jesse Rose remix – Australian trio RÜFÜS are readying the release of a second single, Take Me, from their debut album, Atlas. Following the number one chart success of Atlas in their native country last year, as well two ARIA award nominations and a #1 spot on the Hype Machine chart, the album is set for a wider release on 28 April, 2014 via Columbia Records. Blending electronic pop with Balearic-style house, RÜFÜS once again showcase their ability to craft impeccable synth-driven, indie-pop bangers that are ready-made for the dancefloor. Everything about this tune has ‘summer time’ written all over it, least not due to the steel drum melodies and white-noise washes. With hints of the indie-pop charm found in Friendly Fires (think Hawaiian Air), Take Me – like Desert Night before it – features epic,sugary melodies paired with danceable rhythms. Lovely stuff. Bring on the summer time! 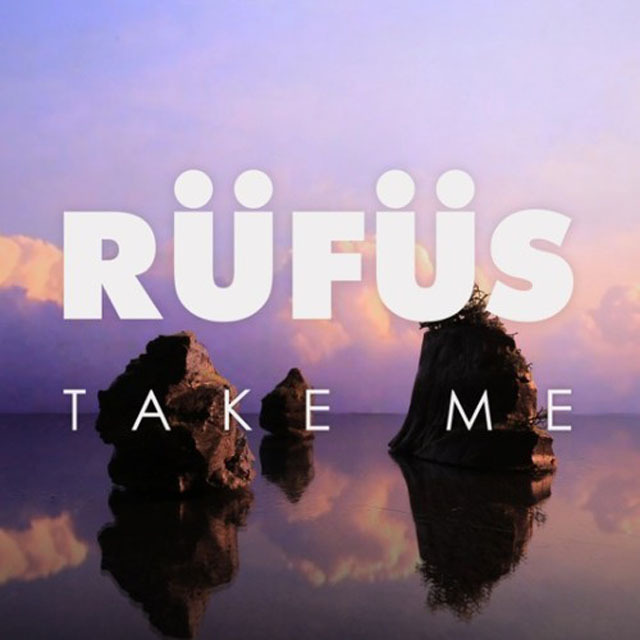 Take Me will be released as a single on 14 April, 2014.